1. Leave a comment below linking to a product that has you inspired by Stolen Kiss, Skylight View or Quiet on the Set. 2. I'll be uploading your pins to a Pinterest board showcasing the entries for the contest entitled "Inspired by Behr"
3. Contest closes and entries must be submitted by midnight on June 6th and a winner will be selected at random on June 9th. Please note the prize can only be awarded to a resident of Canada (excluding residents of Quebec) or someone with a Canadian mailing address. Love this all white set! Gorgeous picks! What a great contest! 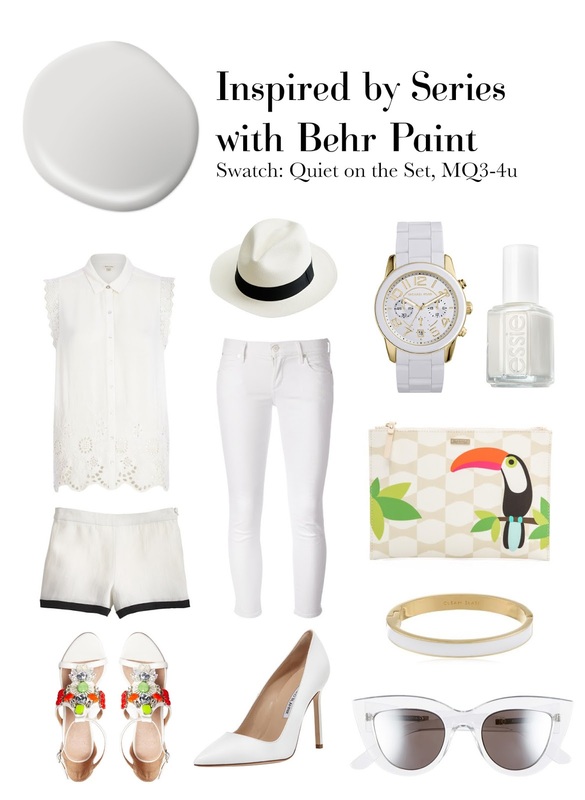 I think "Quiet on the Set" really reminds me of ethereal halter top - such a soft and comforting white!